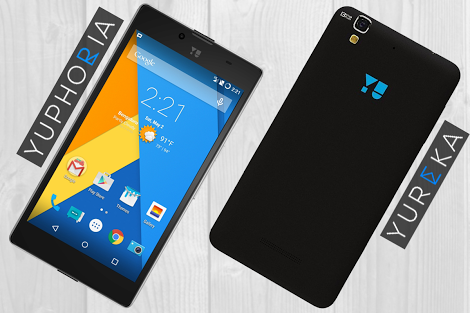 YU Yuphoria and Yureka is going to get Cyanogen OS 12.1 the new update which is based on Android version 5.1 and even Android 5.1 Lollipop has not been rolled out fully. This great news was revealed by R. Sharma, YU's CEO in YU forms. "We have been working on Cyanogen OS 12.1 update , based on Android 5.1 and it is in the final phase of testing." YU has done an amazing thing, you can also BETA test it. You can check it here - [ follow link ] . According to YU forms a very limited set of devices have had proximity sensor problem and the update will be providing auto calibration for Proximity Sensor. They also have an updated firmware for the keyboard to improve typing and gesture. YU form also stated "Additionally, the entire camera stack has been rebuilt with reworked camera tuning. This will greatly improve the camera to capture more details under various lightning conditions." . There some other fixes also. CyanogenMOD 12.1 nightlies which is based on Android 5.1 Lollipop which are now available le for YU community.